As the weather outside becomes frightful, you may have the dreaded case of the winter blues. The plummeting temperatures and shorter days may lead many toward the path of decreased energy and increased laziness, but never fear! You can fight the hibernation desire even by staying indoors if you’re not in a winter sport. Don’t let the season ruin your holidays! Believe it or not, the internet can be your friend when trying to fight off laziness. There are plenty of free workout videos offered on YouTube to ensure that you can get sweaty and burn calories in the comfort of your own home. The BeFit Youtube channel has tons of free, high-quality workout videos from celebrity trainers like Jillian Michaels from The Biggest Loser. Have any goals in mind? BeFit also offers workout systems, like 30 Day 6 Pack, consisting of 15 videos to strive for those coveted washboard abs. Check it out! Cassey Ho, the pint-sized creator of Blogilates, might lack the intimidation factor of most fitness trainers with her sparkly video graphics and fairy-like voice, but this program is not a walk in the park. Blogilates, her workout channel, consists of pilates and cardio routines that are designed to be fun and intense, with videos like the “Muffintop Massacre” to have you working out along to some upbeat pop tunes. Every month, she offers a workout calendar that plans out which Blogilates YouTube workout videos you should complete each day of that month, that way you can’t bail on a workout and it will keep you active all month long. The calendar can be found here. For anyone feeling a little crafty, this next one could be fun. 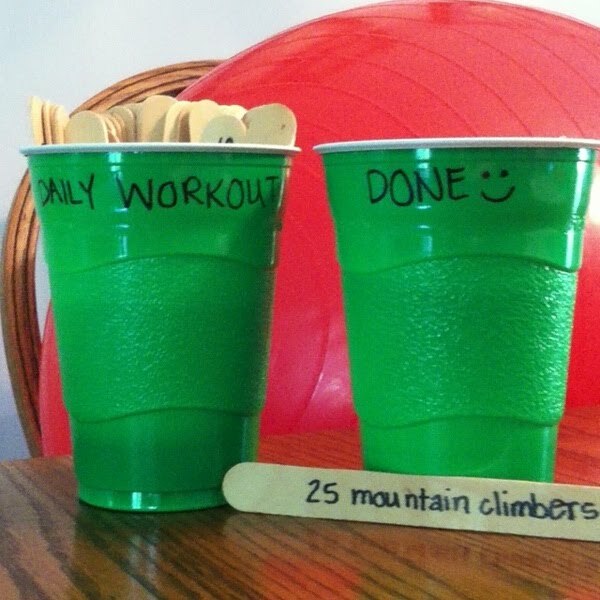 Write different types of exercises on popsicle sticks (for example, 25 squats or 20 push-ups), and place them in a plastic cup labeled “workouts.” Have another cup next to it labeled “done.” Whenever you walk by these cups, pick a popsicle stick out of the cup, read it, and complete the exercise. After completion, the stick should be moved to the “done” cup. It’s simple! If you want to experience what is the opposite of the outdoor conditions and don’t mind getting a little -- no, really sweaty, hot yoga may be for you. What is it? It’s simply the popular exercise of yoga performed in a room with temperatures as high as 90 degrees. Yoga is designed to reduce stress and lower blood pressure, but people who practice hot yoga say that adding the high temperatures promote increased flexibility and metabolism. The sweating that occurs as a result also is said to cleanse bodily toxins from the system. 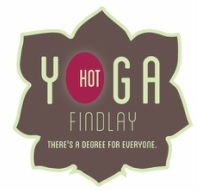 Hot Yoga Findlay is a new business located on East Melrose Avenue that offers this service, as well as Open Circle Yoga, located on Lima Street, near downtown. Your local YMCA isn’t just a fitness gym full of equipment, as there are a vast array of classes to choose from (from yoga to Insanity) to have you meeting new people and picking up some new (and possibly lethal) skills! With a YMCA membership, many classes are free, and for nonmembers the fee is as low as $20. The full list of YMCA programs can be found here. There are tons of ways to stay active in the winter...the weather doesn’t have to be an excuse. Give these options a try, or maybe come up with your own ways to get the blood pumping. Either way, staying active boosts mood and energy, so why not get moving?